Android fans yet to pick up a Samsung Galaxy S3 may have another shade to choose from in the near future. Samsung has, so far, launched the phone in pebble blue, white and red (in some territories) but now a black device has appeared in Carphone Warehouse's internal inventory. 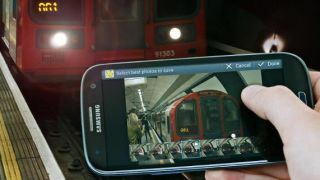 The news comes from a Carphone Warehouse 'insider' who sent snaps of the on-screen listing to the Android Police website. The pictures follow a similar leak from Carphone Warehouse, prior to the Galaxy S3's release that pointed to the launch of the blue and white devices. So, we'd suggest, given the previous insider tip from the CP source, that the elusive black shade may actually be on the way.